MSA is committed to making its member staffing and recruiting firms more successful through proactive legislative advocacy, effective public relations, exclusive training and skills development, strategic industry partners and collaborative networking. You can search our membership by name or by industry specialty/region by clicking on one of the links. Our people are everything. For more than 30 years, Aerotek® Inc. has distinguished itself as a leader in recruiting, staffing and strategic outsourced solutions by having a deep understanding of the intersection of talent and business. As a strategic partner to more than 18,000 clients and 300,000 contract employees every year, Aerotek’s people-focused approach yields competitive advantage for its clients and rewarding careers for its contract employees. Headquartered in Hanover, Md., Aerotek operates a network of over 250 non-franchised offices with more than 6,000 internal employees dedicated to serving our customers. Aerotek is an Allegis Group company, the global leader in talent solutions. To learn more, visit Aerotek.com. Alternative Solutions and its brand names, ASI Temps , Medical Register, and Michael Ward Associates. With over 100 years of combined experience, we are dedicated to the placement within the Healthcare Industry since 1982. Our staff placements of Administrative, Nursing and Allied Health both on a Temporary and Permanent basis. Keith D. Alter, President/CEO, has been leading the company throughout these times since the beginning. He also is a past President of the Massachusetts Staffing Association and has worked on committees within the American Staffing Association. Black Diamond Networks is a national provider of Information Technology Services. 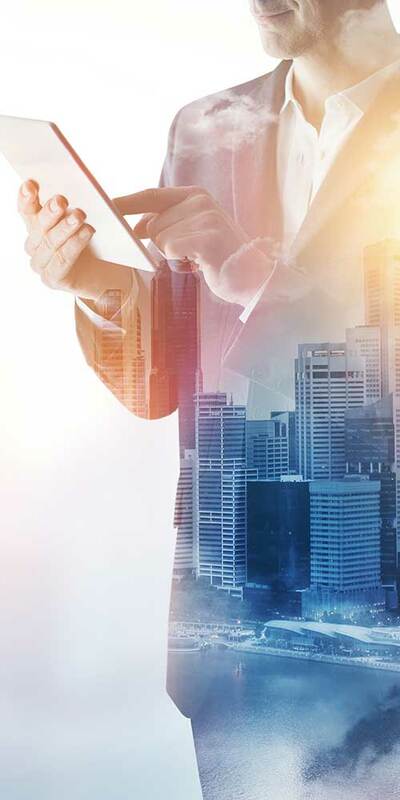 As a trusted supplier of IT Staffing Services, Black Diamond Networks connects top IT professionals to our clients by way of contract, contract to hire and permanent placement. Our goal is to deliver exceptional service and help our clients solve their business and staffing challenges. Black Diamond supports clients across all verticals including Financial Services, Healthcare, Hi-Tech, Manufacturing, Education, Media & Entertainment and Retail markets and at all levels of the Software Development Life Cycle (SDLC). Black Diamond Networks Technology Service offerings include Professional Services Support, Custom Project Teams, Program Management, and Business Analysis and Strategy. Ceres means “To Grow” consequently our goal is simple. We want to be the most trusted partner you rely on to help grow your career. If you are looking to hire an individual or an entire team The Ceres Group is all you need. We are industry veterans committed to making your experience efficient, effective and enjoyable. We focus on building long term relationships with the top clients and professionals in the IT industry. From project based work, implementations to custom building applications, we supply the expertise you need, when you need it. Give us a call, we’re Growing IT Together! Choice1temps specializes in connecting Massachusetts, Connecticut, New Hampshire and Rhode Island leading employers with skilled administrative and light industrial workers. A locally owned company building on three decades of relationships, we offer customized recruiting and testing for your short-term, long-term, and temp-to-hire positions. CoWorx Staffing Services “CoWorx”, established in 1974, is ranked by Staffing Industry Analyst for the year 2015, as the 41st largest staffing firm in the US and the 18th largest Industrial staffing firm. CoWorx has also been named as one of the winners of the 2012, 2013, 2014 and 2015 Best of Staffing Client Satisfaction competition, by Inavero and presented by CareerBuilder. We provide client-specific staffing solutions, designed to maximize productivity and profitability. CoWorx supplies quality employees for temporary, temporary-to-hire, direct hire and payrolled positions for all levels of Administrative, Professional, Technical and Light Industrial positions through our national network of branch offices and onsite partnerships. Expert Staffing provides expertise in personnel utilization through adherence to our proven strategic solutions and respect for our associates. Our clients can expect a significant cost reduction, decreased turnover, strict safety policies, and delivery of service based on the way your individual company does business. With more than 30 years experience in the staffing industry, FootBridge delivers hard work, ethics, and a dedication to strong relationships. Our goal is to increase the value of our clients’ organizations and enhance the careers of our employees and consultants. 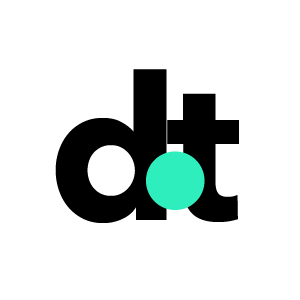 We work with clients ranging from startups to Fortune 500 companies across all business sectors. Franklin Professional Associates is a Certified Women-Owned recruiting firm built on 40+ years of experience in New England. We believe that people should be recognized as “human-beings” – not “human-doings”. Our clients share our view of people as being your company’s greatest investment and they are committed to creating positive and progressive work environments where stunning colleagues work together to make magical things happen while leading fulfilling lives. 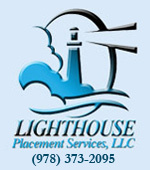 Our solutions include temporary, temp to hire, and direct hire staffing. Our passion is bringing exceptional people to companies where their talents can be synergized to create progression and lasting value. Franklin Professional Associates, Inc. was founded in 2011 by Melissa Glenny, 20 year veteran of the Staffing Industry with deep understanding of the unique employment market within Central Massachusetts. Her direct responsibility to manage staffing programs for companies including McKesson, Avery Dennison, Procter & Gamble and The Home Depot provided the foundation necessary for her to create a proprietary process to quickly find and qualify the best people to rapidly respond to customer’s needs with precise consideration for their unique environments. We choose to fashion our business name after Melissa’s Grandparents business, “Franklin Printing” which has been thriving for over 65 years. In the spirit of legacy, we’re forever grateful and working tirelessly to always leave things in better shape than how we found them. The name Franklin is our daily reminder of this message. Gardner Resources Consulting, LLC a recognized leader in providing specialized IT Staffing services to clients and IT Consultants in the Healthcare, Financial Services and Insurance industries. Gardner Resources Consulting saves you time by supporting every phase of the hiring process… from requirements definition, to interviewing to post-placement support. You can concentrate on your core responsibilities and not worry about insufficient or absent resources that could derail your projects. We only work with senior professionals who have a proven track record of success and know what it takes to excel in the challenging IT positions you need to fill. We hand pick the “best few” candidates for your consideration, so you only spend your time with highly suitable candidates who best fit your position. Our responsibility to you does not end once the job is filled. We address and resolve any issues that emerge during the engagement. We are with you during each and every phase of the staffing process and assignment until the job is completed. Need to staff a senior IT position? Call us at 781-997-5200 to learn how we can find the best fit consultant for you. We won’t waste your time sending you out on interviews that simply don’t suit you. Nor will we ever pressure you into accepting an engagement just because we believe it’s a model match. We don’t rely on “key word” searches to identify available opportunities for you. We take the time to get to know you – your individual preferences, expectations, and unique personality – so that we can present only those assignments in companies that work best for you. After we find the right position for you, we shepherd you through the hiring process, helping you prepare for, land, and manage those assignments that conform to who you are and what you want. Our clients are blue-chip companies with exciting positions, and we can help you develop a wide network of professional contacts to help advance your career. Our responsibility to you does not end once you are hired. We address and resolve any issues that emerge during the engagement. We are with you during each and every phase of the staffing process and assignment, and we stay actively involved until the job is completed. Harmon Personnel Services, locally owned and operated since 1984, is a private-nonprofit and a subsidiary of Community Action. We provide quality staffing solutions in Franklin and Hampshire Counties in Massachusetts. When local employers need trained, pre-qualified, pre-screened professionals to start immediately, they depend on us! As the area’s most experienced staffing agency, Harmon has long-standing relationships with Pioneer Valley’s most successful businesses. Harmon is widely recognized as the “friendly” temporary employment service and the leader in meeting the staffing needs of local businesses. We are ready to customize a staffing plan to meet your specific needs! Harmon Personnel employees enjoy working in a variety of offices, factories, and other work-places for different businesses and professionals. Every assignment is unique- providing you with the opportunity to strengthen your skills and your resume. Each assignment will be a rewarding experience, where you’ll meet new people, become familiar with different work environments, and have the chance to grow personally and professionally. We can help place: Office Professionals, Technical Staff, Machinists, Production Workers/Laborers, Industrial Workers, Food Service Professionals, Retail Associates. Highway Driver Leasing was founded in 1982 by the Greenberg family, the third generation of trucking industry professionals who are determined to solve companies’ needs for good drivers. The mainstay of our mission is to provide great drivers to great companies. Our attitude toward this service has fostered a personal style of business and is the major reason for our success. We know our drivers well and each dispatch is made thoughtfully, based on our drivers’ strengths and the detailed needs of each client. Truck driver leasing companies come and go. HDL has earned the reputation of being an industry innovator and a valuable partner to both drivers and companies. Please contact us for industry-specific references. HDL is meticulous about driver safety. Our Director of Safety is certified by the North American Transportation Management Institute, knowledgeable in best practice implementation and offers on-going regulatory consultation with our clients. With three decades of experience, we are always learning, always growing, and always striving for excellence. John Leonard Employment Services Inc.
For every client organization and candidate, JOHNLEONARD makes the process of finding/filling jobs as efficient and effective as possible. In so doing, we have a positive impact on their success thereby living by our mantra… Actions Speak Louder Than Words™. Since 1983, KNF&T has provided Boston area businesses with highly skilled professionals in office administration, accounting, finance, and human resources. KNF&T has become one of Boston’s leading staffing firms, being named one of Massachusetts’ “Top 100” women-led businesses. -To provide our clients with the highest standard of service at a fair price. -To strive to obtain appropriate positions for all candidates, helping them achieve their highest goals and career aspirations. -To foster in all our employees a pride in the excellence and integrity of our company and in their own contributions and personal success. As companies strive for an edge over their competition, it becomes essential that they can depend on a deep bench of talent to help them compete, innovate and lead. Over the past three decades, Manning Personnel Group has established itself as the partner of choice for New England businesses interested in building and maintaining a high-performance workforce to achieve lasting competitive advantage. A family-owned, full-service executive recruiting firm, Manning Personnel Group provides permanent and temporary placement services for job seekers and employers across a variety of industries and disciplines. At Manning, you’ll find a team of recruiters that share over 100 combined years of experience forging mutually beneficial relationships meeting the needs of even the most discerning candidates and clients, with a particular emphasis in Finance, Accounting, Human Resources, and Office Administration placements. You’ll also find a team that brings to each and every engagement unrivaled passion, integrity, depth of expertise, an extensive network and tireless devotion to ensuring the placement of only the best people in the position of their dreams. We are a family-oriented, service-driven staffing firm with a sincere and responsible team dedicated to delivering custom solutions for your hiring needs. Our associates are the heart of every client solution and are a key asset to the continued development of our partnerships. Our geographic footprint combined with our vast experience makes us the natural choice to be your contingent staffing partner and let you focus on your business priorities. We have designed innovative ways that can save our clients on labor spend, increase productivity and motivate staff. Meduvi is a staffing firm focused on the IT and Analytics domains. 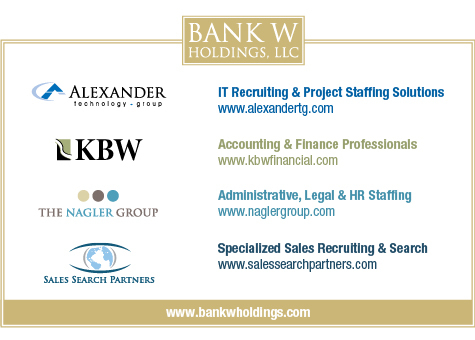 We provide IT and Analytics talent on a contract, contract-to-hire and direct basis to leading companies in the Boston area. We are a team of senior professionals who understand our clients’ specific job requirements and who are experts in talent acquisition strategies. Pro Source is a Technical Recruiting firm that provides consulting services and contract personnel to support the functions of engineering and product design. Established in 1984 in the greater Boston area, the Company has grown to have offices on both coasts. Currently we have local offices in Northern and Southern California as well as the greater Boston area. Pro Source supports its clients by specializing in mechanical engineering and product development resources. 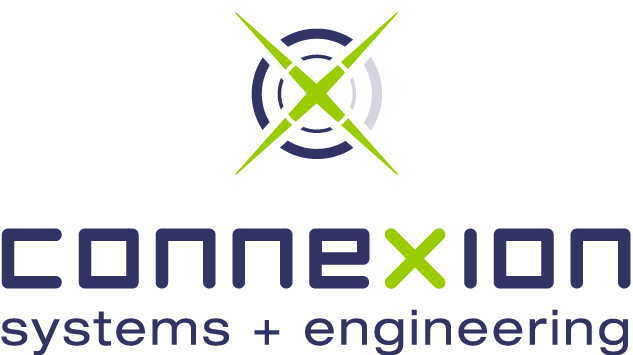 The Company provides consultants and contractors with skills ranging from design and documentation to full-scale product development. Beyond providing technical staffing solutions, Pro Source serves as a clearinghouse for highly specialized individuals. Pro Source can provide teams of design and engineering experts who can complete entire projects off-site. If workloads exceed the normal capacity of equipment as well as staff, Pro Source can provide CAD software and hardware needed to get the job done. Since 1996, Professional Staffing Group (“PSG”) has been committed to excellence in staffing services. 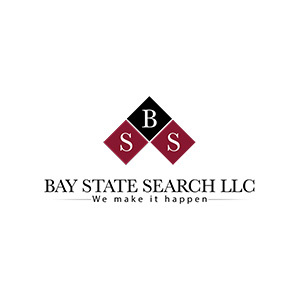 PSG is one of Massachusetts’ largest staffing firms. It is our pleasure to provide service to many of the area’s most desirable employers and fulfill their staffing needs throughout the world. While we have the deep resources which allow us to manage large staffing programs, we also have a structure which allows us to get to know each job seeker individually, and a culture which drives us to match candidates with jobs they love. We are big enough to serve you and small enough to know you. We have a true national presence through our National Recruiting Center. Our experts are located all over the country and have the skills, access and resources to support Fortune 5000 companies across the country. From a single consultant placement to a large-scale deployment, we meet every challenge with efficiency, determination and a smile. Schulte Staffing Solutions is a privately owned, family run staffing agency on the North Shore. We have been providing our clients with customized staffing programs tailored to their staffing needs since 2011 and have a combined 20 years of industry experience. We offer temporary, temp-to-hire, and direct hire services in the areas of light industrial, technical and office support. Our success is based on the long lasting business relationship we build with our clients and candidates. We are the nation’s largest and most trusted supplier of skilled talent for the print, pre-media, graphic and interactive media industry. Since 1994, Semper has provided a variety of staffing solutions: flex, flex to hire, and direct hire, from design to press to finishing. Through our services, we have helped transform how a wide range of print and graphics companies, large and small, fill important roles or stretch production capacity. We are experts at making things happen, and we have earned a reputation for quality hires who produce from Day One. Our experienced, reliable team personally screen and rigorously test every applicant before we recommend them for placement. Born and raised in the industry, we know that staffing is more than just filling a slot. While we often quickly deliver a single candidate or need, we focus on long-term relationships and on becoming a part of your team – because we know that your success is our success. The Strawhill Consulting Team is a Boston-based staffing firm born out of twenty years’ experience recruiting the top independent IT talent nationwide. Focusing on niche skillsets, we leverage our experience and extensive knowledge of the market to fully understand the needs of our clients. Our top priority is matching the right talent with right project to save you both time and money. Strawhill Consulting’s expert staff is backed by a national pool of IT talent – with each one of our consultants fully vetted through established relationships and documented results. The Alpha Group is one of the largest independently owned staffing services in New England. We pride ourselves on establishing and maintaining excellent relationships with both clients and candidates to provide consistent quality service. Since 1980, The Alpha Group has provided the finest staffing and training solutions for companies in the Northeast looking to better manage the recruiting, hiring, and training of temporary and permanent employees. We provide client companies with the local, personalized services that they need. We are more than an employment agency, we also offer payroll services, candidate verification, on boarding, and training programs to our clients. Founded in 1983, The CEI Group is a WBE certified national staffing firm. The CEI Group provides exceptional staffing solutions for our clients, as well as the most rewarding job opportunities to our candidates. Building relationships is essential in any business. 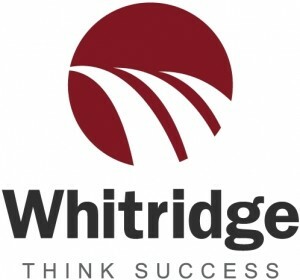 The degree and depth with which we connect with our clients is what differentiates our proven success among our peers. At The CEI Group, our single focus is you, whether you are an employer looking for talent, or a candidate exploring your next job opportunity. Our business revolves around you, and only you. At The CEI Group, it’s not just business- it’s a personal mission to make sure you succeed. From Start-ups to Fortune 1000, our promise of performance remains the same. Since businesses come in all sizes and have a range of requirements, you need a solution that is right for you and your organization. You need a business partner who will listen to your concerns, become part of the solution, and consult with you and deliver no matter what your company size. The CEI Group has the breadth and depth of experience to deliver on becoming the reliable and trusted partner who can best complement your efforts. We leverage over 50 years experience helping clients and candidates achieve their respective goals. We deploy the best in CRM technology, and have a professional, trained and experienced staff to respond to whatever you require. The Vesume Group is an innovative staffing agency specializing in the placement of IT and Engineering professionals. By combining modern technology and a personal approach, The Vesume Group is able to match great talent with great jobs. Founded in 2009, and headquartered in North Andover, Massachusetts, The Vesume Group provides contract, contract-to-hire and permanent placements throughout Massachusetts and New Hampshire. For employers, our staffing approach reduces recruitment costs by streamlining your hiring process, shortening the time to fill open positions, and improving the quality of your hiring decisions. For job seekers, our innovative staffing tools will differentiate you from other candidates, highlight your relevant experience, showcase your personality, and provide you with a competitive edge in your job search. 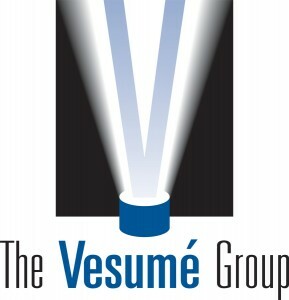 For more information please visit www.thevesumegroup.com. With headquarters in Springfield, MA, United Personnel has been supporting the businesses, people, and communities of the Connecticut and Pioneer Valleys for over a quarter of a century. Since 1984, United Personnel has won numerous business leader awards including multiple recognitions by Chambers of Commerce, Inc. Magazine and the Center for Women and Enterprise including Top 100 Women-Led Businesses in MA. As a family and woman-owned business, our company is committed to the things that are most important — lasting partnerships with our clients and field staff, as well as support of the communities and cultural organizations where we live and work. 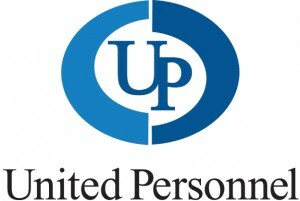 United Personnel’s passion for integrity, service, innovation, and quality has helped to improve the professional lives of its field staff while making significant contributions to the bottom lines of thousands of our client companies. Specializing in all levels of Accounting & Finance, Human Resources and Technology, WinterWyman is exceedingly responsive and nimble, ensuring clients’ temporary staffing needs are met in an expeditious manner with top talent. WinterWyman recruiters and account managers have in-depth market knowledge, broad networks and industry experience in their chosen specialty areas and bring considerable technical and functional expertise to each assignment. WinterWyman account managers work collaboratively with our dedicated team of staffing managers and other recruiting professionals who bring decades of experience and thousands of contacts to your assignment. On every engagement, you benefit from a staffing professional with specialized market experience and the collective knowledge and resources of the entire organization.